Evin is excited to welcome photographers Laura King and Allison McPhail to the Evin Thayer Studios team! Combined, they have 15+ years of professional photography expertise and are both PPA certified professional photographers (Professional Photographers of America). 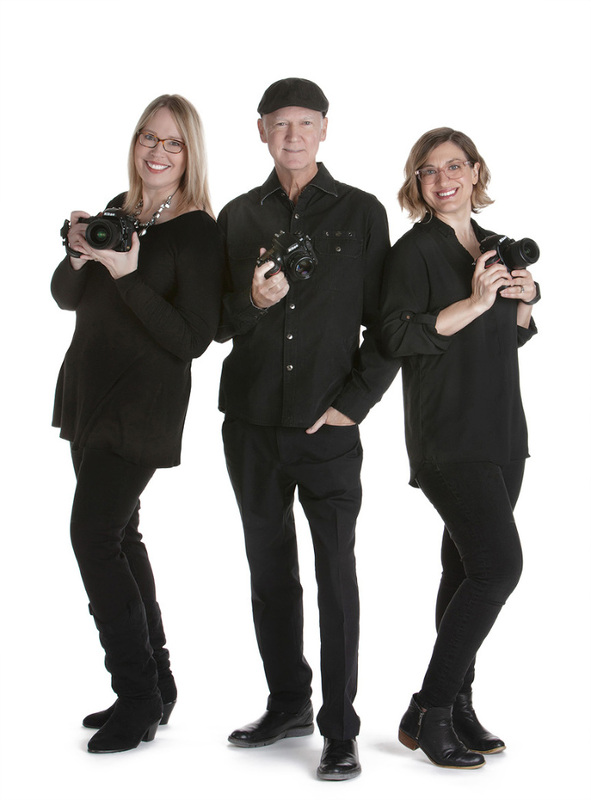 Like Evin, Laura and Allison are passionate about photographing people. They will be working closely with Evin to bring you the fantastic images and great customer service experience you expect from Evin Thayer Studios. Evin Thayer is also well known for photographing local and national celebrities including President George H.W. Bush and Mrs. Barbara Bush, Astronaut John Glenn; Newscaster Walter Cronkite; Houston Mayor Annise Parker; Houston Trauma Surgeon and Professor Dr. “Red” Duke; Baseball Hall of Fame Pitcher Nolan Ryan; professional ballroom dancer Mark Ballas from the ABC program Dancing With The Stars; Basketball Hall of Fame center Hakeem Olajuwon; author Dr. Carolyn Farb; Houston socialite, political activist, businesswoman, Joanne King Herring; and Houston socialite and philanthropist Lynn Wyatt. Allison’s background includes family, children, weddings, event and corporate photography. She is committed to giving back to the community and her work has benefitted organizations including Healthcare for the Homeless, The Houston Food Bank, The United Way, Red Cross and UNICEF. Laura’s work has been nationally published and received numerous awards. She specializes in photographing maternity, newborns, babies, children and families. Laura has been recognized as one of Houston’s best newborn photographers for the last three years by Expertise.